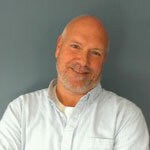 Our Story - Harbor Springs Mattress Co.
begins with walking away to do better. I never would have thought I would end up in beautiful Harbor Springs from where I grew up in Detroit. After the army, I wanted to continue college when my VA Advisor told me about a night job in a factory for a bedding company. Gradually, I learned everything there was to know about making beds. Twenty-five years later, I was Production Manager working for the largest mattress factories in the United States. I traveled to different factories for months even years at a time to improve existing factory operations. I loved it. I loved being on the floor with workers, trouble-shooting production, machines and making improvements. Then everything changed. I watched investment groups buy out mattress companies, consolidate and begin competing to churn out chemical laden, poorly made foam based mattresses. Mattresses that used to last for decades — now intentionally fell apart after a few years. Springs were removed from box springs and mattresses became one-sided. Cutting corners, gimmicks and crazy mark ups became the norm. I had to walk away. In 2004, I took a leap of faith to start my own company so I could stand behind my word. The first thing I did was bring back old world craftsmanship when beds used to last a person’s whole life. I choose to bring back the lost art of hand tufting because it creates the most comfort and is by far the most durable method. Using natural fibers and made in Michigan products is something we do because it is healthier, sustainable and the fibers are stronger than synthetic. 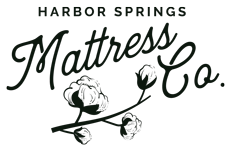 In 2018, we changed our name from Beds By Design to the Harbor Springs Mattress Company to better reflect our home town where we make our beds. Today, we have two locations in Michigan and I am humbled and proud to be making something that thousands of families in Michigan love. Harbor Springs Mattress Company hand makes everything to order. We do not have a warehouse. We make each mattress only after our customers place their order. This allows our materials to arrive fresh weekly giving each bed the highest of quality. Owner, Rory Karpathian refuses to call the workshop where Harbor Springs Mattresses are made a factory. After working in factories most of his life, Rory set up the Harbor Springs Mattress Company in an atmosphere of slow craftsmanship— the opposite of fast mass production. Workshop tours at our Harbor Springs location are always available during store hours Monday to Saturday from 9am to 5pm. We would love for you to come visit.